The annual Quan The Am (Avalokitesvara Festival) festival in Ngu Hanh Son, Da Nang is a colorful manifestation from a Buddhism religious ceremony on the 19th of February (Lunar Calendar). The festival is expected to be the center of attention, capturing interest from both domestic and international visitors. In 2000, The Avalokitesvara Festival in Ngu Hanh Son, Da Nang made it to top 15 biggest festivals nationwide. Since then, it has become the major celebration and an enriched cultural experience, appealing to not only Buddhist monks and followers but also visitors from all parts of the country and abroad. 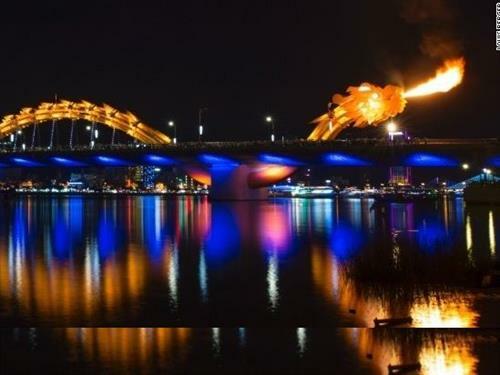 Danang International Fireworks Competition (a.k.a. DIFC) held annually on 29th and 30th of April (in the past on 27th and 28th of March), is another well-known cultural tourism event. The competition first took place in 2008 with participation from 4 international teams. 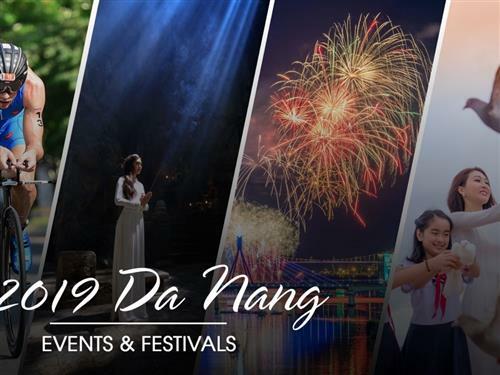 Year 2017 marked an exciting turn of the competition when it was renamed into Danang International Fireworks Festival (DIFF 2017) and immediately hosted 8 teams on competition for 2 months (30 April-24 June). For the first time, Vietnam saw a festival last the whole summer. It was also the first festival to entail spectacular street carnival and a one-of-a-kind food festival featuring theme ‘Shining Marble Mountains’. Following the success of 2017, DIFF 2018 with theme ‘Legends of the bridges’, is expected to happen in 2 months, starting from 30 April to 30 June 2018. This is going to be one of the biggest ever fireworks festival in Asia, with a variety of side events and activities. With all being said, DIFF 2018 is bound to turn Danang into its most vibrant colors and vibes all summer. IRONMAN 70.3, the world-famous sports event is to be commenced in Vietnam with more than 1400 participants from 59 countries. Well-known for its tough and challenging games, the event will see the gathering of world best athletes on 13th of May 2018. The triathlon race will take place in Danang, the coastal city famous for its beautiful and untouched beaches; UNESCO cultural heritage sites and many tourist attractions. Triathletes will commence the race on a scenic route starting with 1.9km swim at sea, a 90km bike ride along sand beaches, resorts and the crude coastal riffs. The race escalates with a 21km run through ‘critical’ trail marks to a thrilling finish. Hosted in a tropical haven, the half-triathlon race promises to be the perfect warm-up for IRONMAN 70.3. This year, ‘Danang- Summer Destination 2018’ is expected to happen end of June with exciting events and new experiences for tourists coming for a refreshing summer holiday in Danang city. 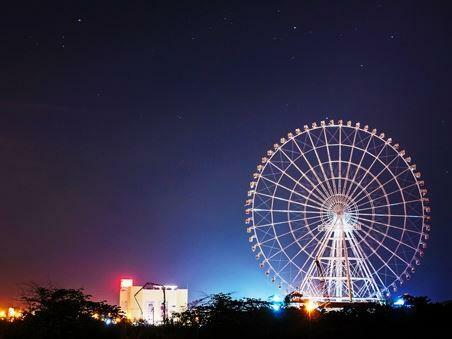 The event is organized recurrently every summer in attempt to boost the refining and marketing of coastal tourism products, as well as to make Danang the destination for festivals and events. It is in the hopes of the organizing committee that the event will project the beauty of Danang beaches to wider audience nationwide and overseas, meanwhile presenting the city as a safe and attractive tourist destination. Danang has been chosen to host the first World Art Performance Festival by the International Theatre Institute (ITI), from 1st July to 8th July 2018. The opening ceremony is to take place on 1st July, to also celebrate 70thanniversary of ITI foundation. The festival includes theatrical performances, academic seminars and activities focusing on staged arts…etc. 20 performing crews from ITI member countries (including Vietnam) will be joining the official program. The qualifying and selection process will be conducted by ITI (for international crews) and by Danang city authority & ITI Vietnam (for national participants). Following successful happenings in the past, the Manulife Danang International Marathon 2017 will take place on 12th August 2018, from 04:00 to 13:00 at Au Co Statue, Bien Dong Park, Vo Nguyen Gap St. The event was made by Pulse Active, executed under the authority of Danang People’s Committee and Danang Department of Culture and Sports. With the agenda of 5km, 10km, 21km and 42km runs, the race has been and will be receiving thundering support from fans and is considered one of the most stunning marathon in South East Asia. Organized this year as the 6th occurrence, the race will be welcoming 5,000 domestic and international athletes. 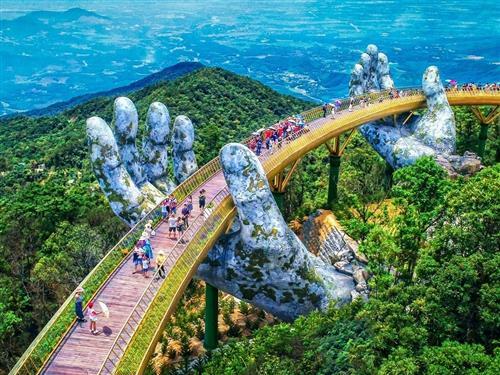 With fun and spectacular events ahead, Danang in year 2018 is bound to leave visitors with unforgettable moments.